the top major destination first. For Phuket it is Patong beach and town, which is the main hub of the island. 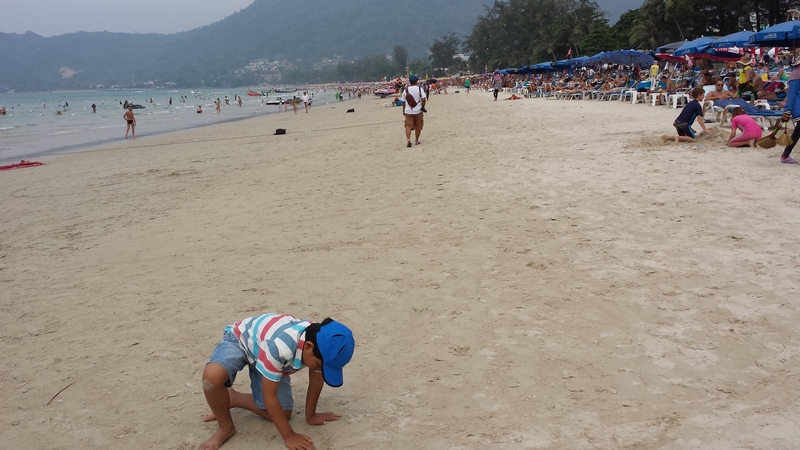 Patong beach is crazy, filled with swimsuit-laden tourists and littered with shops and stalls to explore. Whether you love it or hate it, a visit here is a must. The variety of water and sports activities at Phuket beaches is astounding. They don’t just have the usual jet skiing, banana boat and the likes, but they also have parasailing, kayaking and an aqua zone water park which is fun for the entire family. No trip to Phuket is complete without going on the island hopping tours to the islands off Phuket island itself. 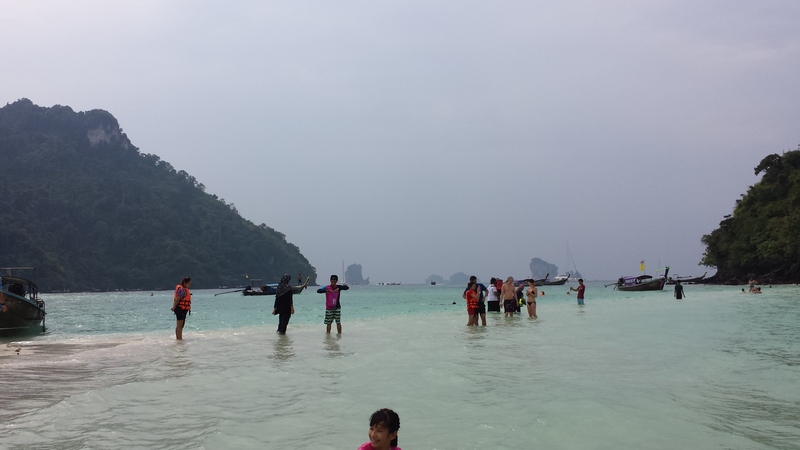 The most popular escapade is Phi Phi Islands (including Maya Beach on Phi Phi Ley, which was the location of the Leonardo Decaprio film The Beach). You can either go by the big boat or speedboat (which offers half day tours). 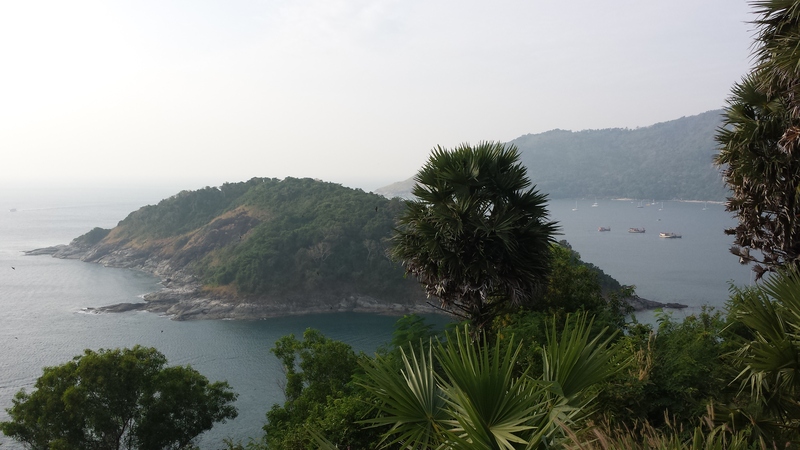 The sunset over the viewpoint of Promthep Cape is worth going the journey for (1-hour odd from Patong). Order the Seafood Basket from the nearby restaurant (beware the the place is famous with locals so you may need to call and book a table) and watch the sun go down over the bay. ‘Tuk Tuks’ (small open-aired vans) in Phuket are bigger than the ones in Bangkok. They are also a bit vicious, controlling their “market share” and prices so viciously that they are dubbed “the mafia” by the locals. Be prepared for a hard bargain – a market rate from Patong to Karon beach for example seems to be in 200-300 baht range despite being only about 6km away. 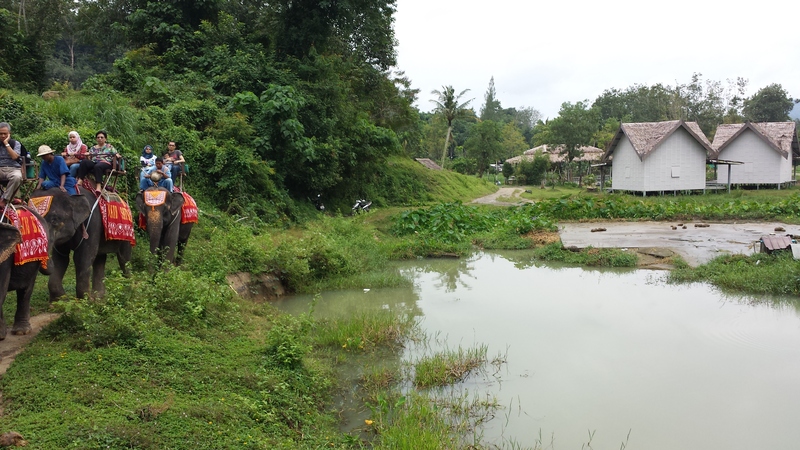 Book a trip on Siam Safari in Chalong for an experience with the local elephants. Besides the elephant ride, you will also be able to see demonstrations on rubber making, rice husking and buffaloes ploughing. If you can afford it, go for the massage at your local luxury resort, but even a stop at the local massage parlours in Patong or nearby towns are worth it. An hour long Thai massage will set you back 400 baht (RM40) and you will feel so energetic afterwards. Authentic Thai cuisine is everywhere, although local halal Thai food is much more difficult to find. If you are in Patong, the local Muslim enclaves are Kalim and Kalimah. In Patong town, the halal food restaurants are usually Indian/Middle Eastern origin. If you have older children or can leave them to family/babysitters for the night, do go for the many local entertainment shows. The most popular are Fantasea and Siam Niramit which are family-friendly, but those more suitable for adults are Simon Cabaret and Thai boxing. 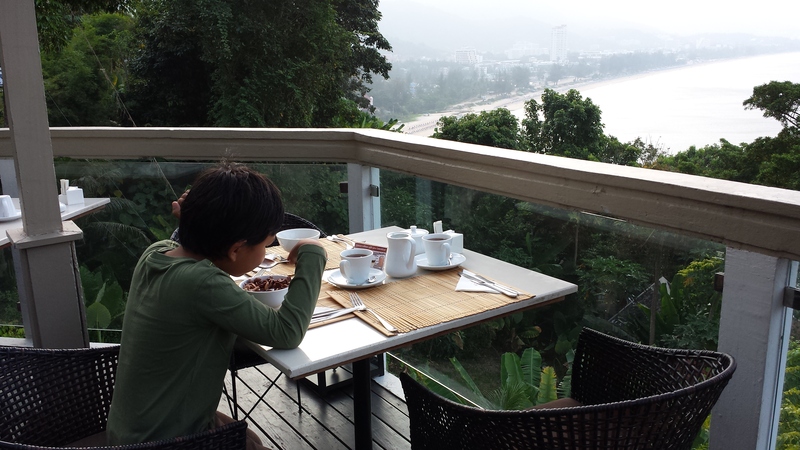 One of the best things about Phuket is the abundance of seaside dining establishments. Even if your hotel does not have a restaurant overlooking the bay like ours (pictured), you can easily go for hotels or restaurants that offer these amazing views.